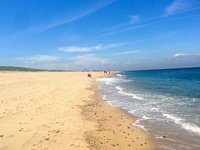 Shaped like a fishhook, and jutting into the Atlantic Ocean, Cape Cod is an area of unspoilt wilderness two hours from Boston. A favourite summer vacation spot of Presidents Kennedy and Obama, Cape Cod offers cosmopolitan seaside towns like Provincetown; the exclusive Nantucket and Martha’s Vineyard island retreats; its spectacular National Seashore, with over 900 kilometres of pristine shoreline, including beaches such as Marconi, Race Point and Nauset; and diverse marine wildlife - most notably a remarkable array of whales, which can be seen readily on whale-watching boat trips throughout the summer months. Cape Cod’s sandy, windswept beaches are a real draw. Whilst the water temperature is on the low side, especially on the Atlantic (east) coast of the Cape, the wide beaches are rarely crowded and typically back onto sand dunes giving a remote feel. 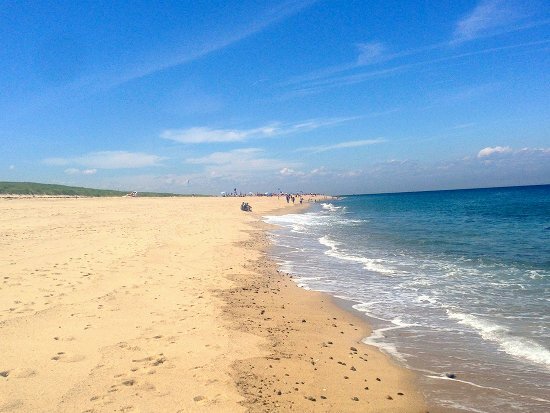 Race Point beach, just above Provincetown, is one of the region’s best. A good fishing spot, Race Point’s attractions include the Race Point lighthouse and the Old Harbor Life-Saving Station Museum. On our last trip, we saw gray seals and whale spouts (hot air expelled when whales near the surface that causes condensation and so looks like a fountain of water) from the shoreline. 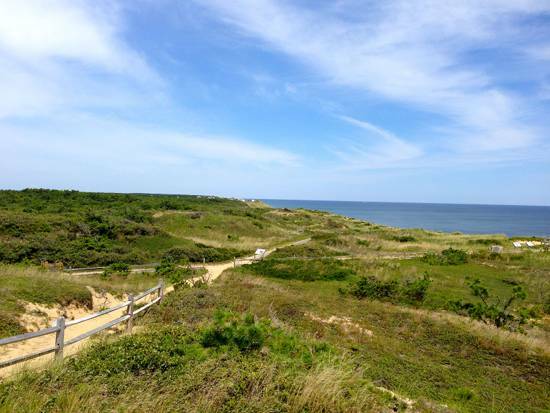 Marconi beach is found further south, named after Italian inventor Guglielmo Marconi, who made the first transatlantic wireless communication from this spot on 19 January 1903 (sending President Roosevelt’s best wishes to King Edward VII). 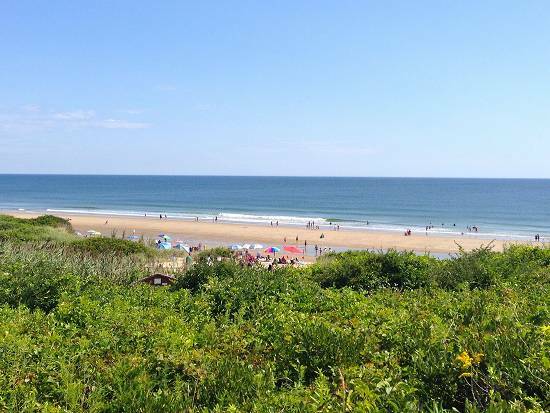 Marconi beach is known for its fine golden sand, large grass-topped dunes, and great surf. Look out for the endangered piping plovers hopping along the shore, and for great blue herons and red-tailed hawks as well as the more ubiquitous great black-backed gull and common tern. A little further south are found Nauset Light Beach (and the Nauset and Three Sisters Lighthouses) and Coast Guard Beach. 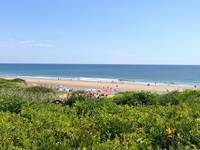 The car park serving the popular Nauset Beach is small (94 spaces), though Coast Guard Beach offers an efficient shuttle service from an overflow car park nearby. Note: great white sharks live in Cape Cod’s waters and prey on seals. There was a shark bite in Truro in 2012. Take appropriate precautions. During high season there are at least four daily whale-watching trips departing Provincetown’s MacMillan pier. Operated by Dolphin Fleet, the 3-4 hour excursions search for whales feeding in the Stellwagen Bank National Marine Sanctuary. 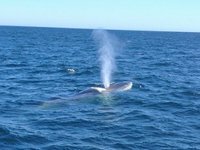 Accompanied by knowledgeable commentary on whales and the marine ecosystem given by a naturalist, most trips result in sightings of a number of whales (Dolphin Fleet will offer you a free ticket if no whales are seen). 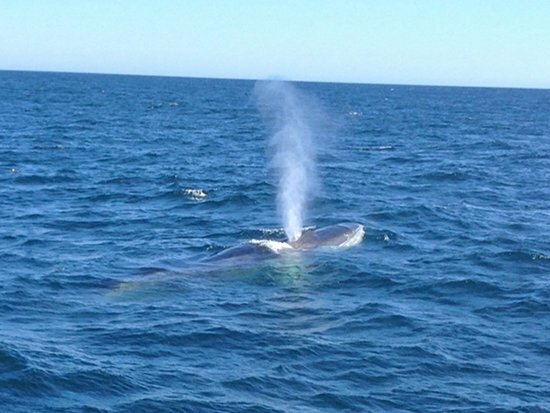 You are most likely to see humpback and fin whales, though you may also bump into Minke, Sei and North Atlantic right whales, dolphins and killer sharks. 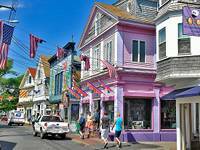 Provincetown, a pretty town at the far end of Cape Cod, is the Cape’s premier tourist destination. It has an interesting history: this was where the Pilgrim Fathers, the first Europeans to establish colonies in the United States, reached land in 1620. They had travelled aboard the Mayflower, being forced to shore during a storm, and proceeded to sign the Mayflower Compact. By this agreement, the signatories pledged to follow a series of rules for the sake of order and survival (some say that this was the world’s first true democracy). The Pilgrims are honoured by the Pilgrim Monument, a 252-foot granite tower in Provincetown’s harbour. You can climb to the top, and look around the Provincetown Museum at the base of the tower (with exhibits about Provincetown, the Pilgrims and whaling). 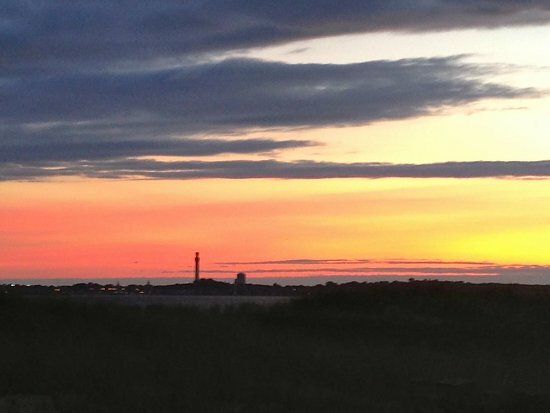 Home to 3,000 during the winter months, Provincetown’s population swells to 60,000 during peak season. We suggest that you get to know the town by taking a walk down Commercial Street. Traffic is one-way and light during the summer season on account of the number of pedestrians and cyclists. Following the direction of traffic, stop to admire the pretty pastel-coloured houses and well-maintained gardens. You will also pass a number of artist’s workshops and galleries selling paintings, sculptures and more. As you get into the heart of town the number of eateries and clothes shops will increase – stop off and get a great coffee at Wired Puppy or a lobster roll with crispy Brussels sprouts at The Canteen. The main MacMillan Pier is located opposite the Pilgrim Monument. A trot to the end will get you close to Provincetown’s yachts and fishing boats and offer good sea views. 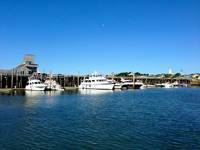 Whale watching tours leave from the pier, which is also home to the Whydah Pirate Shipwreck Museum. The Provincetown theatre, established in 1963, puts on plays and musicals during the summer months in a 200-seater auditorium. Hamlet and Rent were its 2014 productions. Provincetown has an active gay community, which organises an annual carnival at the end of August (in 2014 the theme is Comic Book Capers). Cape Cod offers excellent walking and trails. Two are of particular note. 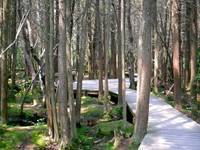 First, the 2-mile Beech Forest Trail from the Province Lands Visitor Centre (just north of Provincetown). Walkers looking for more of a challenge can also follow the 5.45-mile loop trail from the Visitor Centre (which can be extended by up to another 2 miles by going to Herring Cove Beach, Race Point and Bennett Pond). Secondly, the 2-kilometre Atlantic White Cedar Swamp Trail, from the Marconi Station Site. 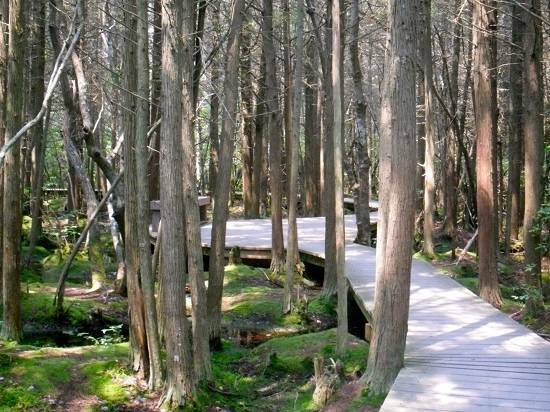 The highlight of this walk is a 400-metre elevated boardwalk around the White Cedar Swamp.